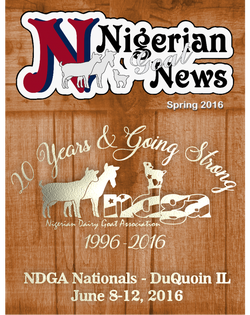 Members receive a new one (free) every year (a benefit of membership). Great gifts for new customers, friends and family! 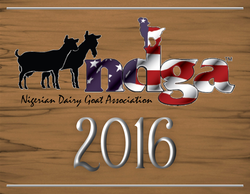 Your resource for all things NDGA. This is for a Hard Copy of the handbook. 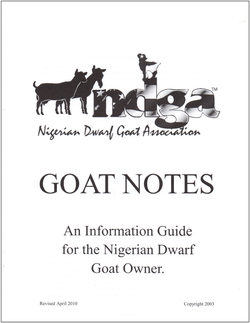 If you prefer a pdf file you may download it here. 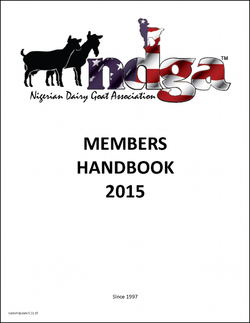 A wonderful resource to help you evaluate your own herd. that you can print at home. A great handout to give to buyers or people thinking of buying! A wonderful compilation of materials - for new and old members alike. 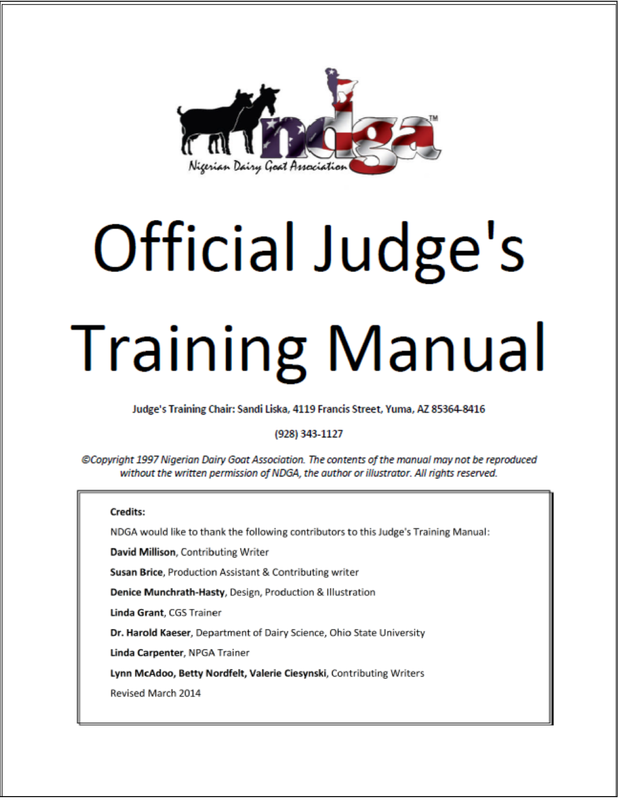 Learn how to understand what the judge's are saying when talking about your goat in the ring. 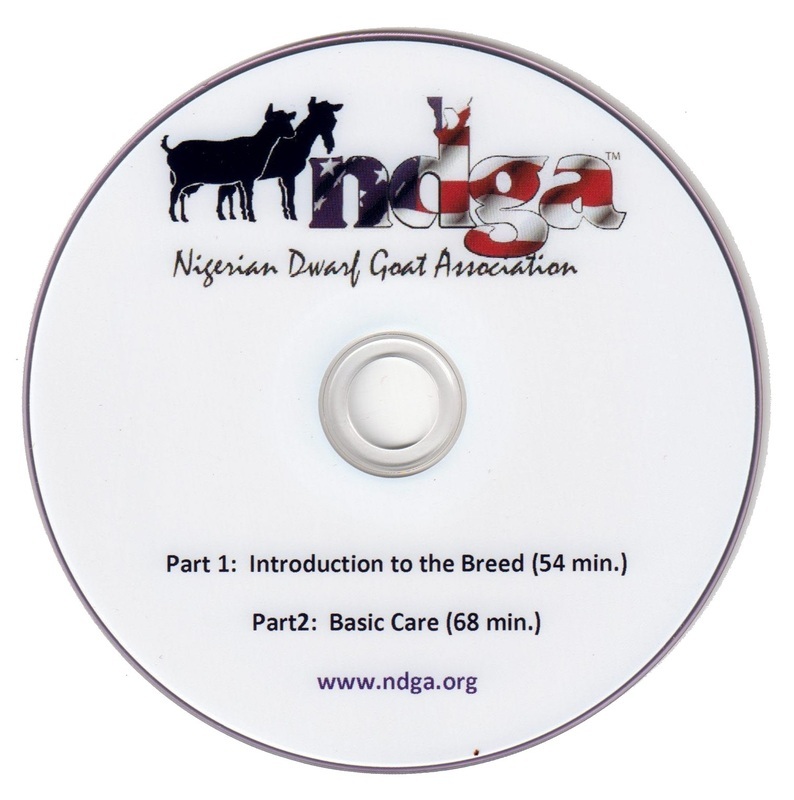 This DVD will teach you all the basics of the Nigerian Dwarf Goat. Excellent reference materials! Members get this free with their paid membership. This option is for non-members or those who would like additional copies.